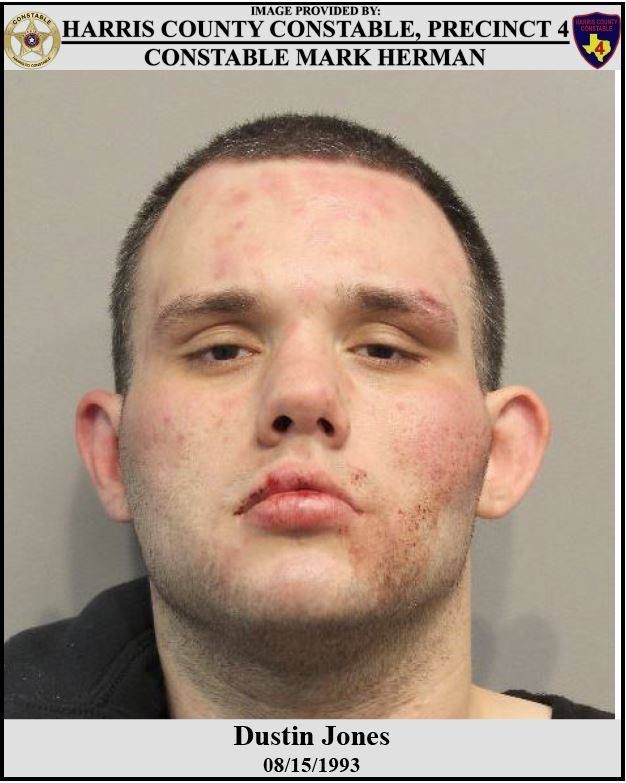 PCT 4 Constable Deputies took an armed felon off the streets after he led them on a brief chase in north Harris County. According to reports from PCT 4, earlier this week, a Constable Deputy attempted to make a traffic stop on a vehicle in the 300 block of East Louetta Road. The driver refused to stop, leading deputies on a brief pursuit. During the pursuit, it was discovered that the vehicle was stolen. The driver tossed a firearm out of his window and reached speeds of 90 MPH. Constable Deputies utilized stop sticks to bring the vehicle to a stop in the 26300 block of East Hardy Road and successfully recovered the firearm. The driver was detained and identified as Dustin Jones. Further investigation revealed that he had a parole revocation warrant through Texas Board of Pardon and Paroles.